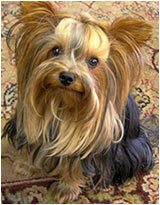 Meet Tank, a stylish 2.5 year old Miniature Yorkie. Tank, all five pounds of him, is the official greeter at Downtown’s equally stylish Eric Olson Master Jeweler www.master-jeweler.com Stop in and say hi to the pooch and Eric, Cheri and Lori, his team of friendly and knowledgeable humans. Built circa 1906, this house was associated with Welch and Italian immigrants. The house was featured on an early 20th century Louisville postcard and was once the home of Louis H. Guenzi, a WWII serviceman from Louisville. 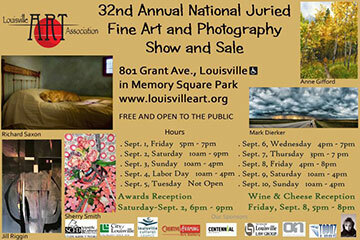 The Louisville Art Association invites you to attend the 32nd Annual National Juried Fine Arts and Photography Show and Sale. There will be over 100 pieces of art to enjoy. The show runs from September 1st through the 10th. It is free and open to the public. Go to louisvilleart.org for dates and hours of the show. 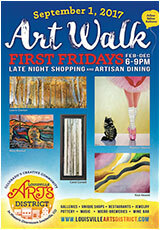 Kicking off First Friday, the event will feature returning favorites Jim McComas and Dawn Reinfield. Jim’s dramatic representational works evoke a “symphony on canvas” while Dawn offers-up “visual poetry” through textured layers and diverse color. Joining them is first-time featured artist, Ninel Senatorova, an accomplished Russian-born painter exploring several media and subjects that blend graphic art with spiritual themes. 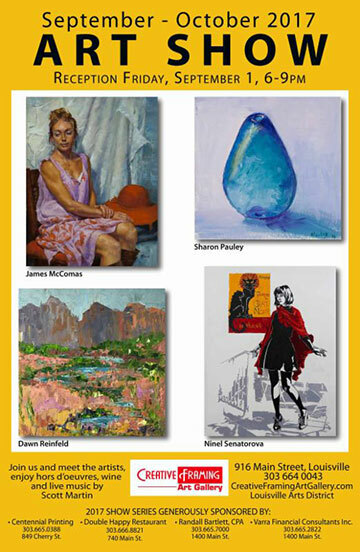 Sharon Pauley is also a first-time featured artist. Inspired by many forms of art, Sharon brings colorful moments to life in oil. Enjoy a live jazz performance by Scott Martin, hors d’oeuvres and beverages as you marvel at the art throughout the gallery. First Summit Realty is officially open! 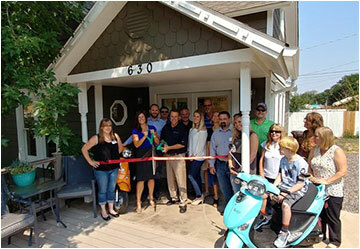 A ribbon cutting for both First Summit Realty, and First Creek Lending was held on August 4, sponsored by the Louisville Chamber of Commerce. The ceremony was followed by tours of the office, a champagne toast, and some goodies. “It was such a nice way to be welcomed to the neighborhood,” says owner Danielle Davis. The office is located right across from Lucky Pie and Sweet Cow. Stop by and say hello and check out the cool blue scooter in front of the office. You might not be ready but its time to start thinking about holiday gifts and Old Friends is the place to get a start on your shopping. Great deals and treasured finds await you. 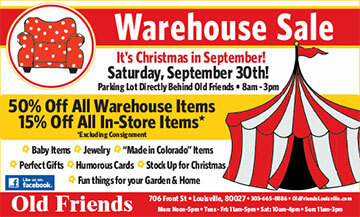 The Annual Warehouse sale takes place in the parking lot behind the store. Get there early because stuff runs out fast! Authentic New York bagels and so much more that make me so happy! Like all kinds of dreamy cream cheeses and inventive sandwiches. 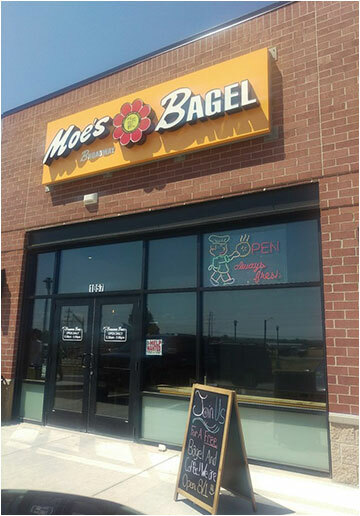 Welcome to the neighborhood Moe’s! 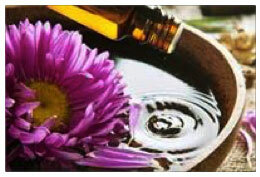 Join Farrah Forsyth in this 2-hour workshop fusing Restorative Yoga with Aromatherapy. Restorative Yoga provides a soothing environment with the goal of total relaxation and balance. When the body is held in fully supported and comfortable poses for longer periods of time it will naturally relax, releasing deeply held tensions, relieving chronic stress, and muscle tension, and eliminating toxins. During this practice various blends of essentials oils, mindfully put together to bring balance into each individual Chakra, will be misted into the air, leaving your energetic body fully harmonized. 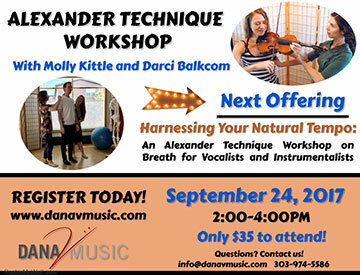 Participants should bring a yoga mat. How time flies! And Beer goes down! 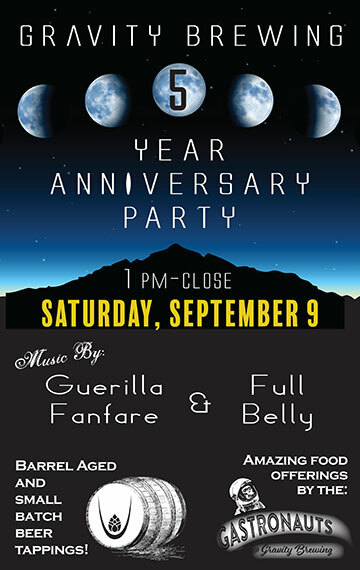 Gravity Brewing is turning 5! 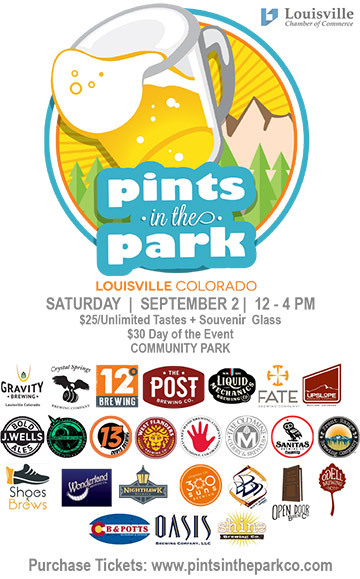 Come join in the celebration with over 20 brews on tap and hourly special/rare beer tappings! Enjoy live music by Full Belly & Guerrilla Fanfare and great food from Gastronauts. Think you make the best pie ever? 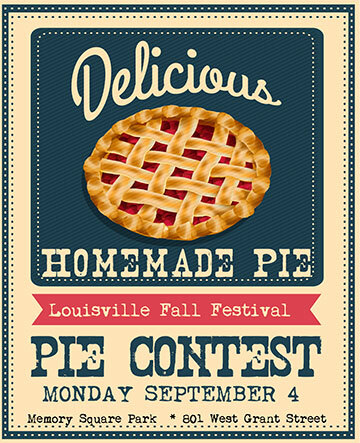 Show off your skills and enter the Annual Louisville Pie Contest at the Louisville Fall Festival! Registration forms are available now at the Huckleberry, or online at www.thehuckleberry.com. ’Stories on Stage‘ performs excerpts from “Sing for Your Life” at the Louisville Center for the Arts. This program is free. 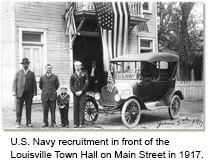 Bring your lunch to this presentation by Museum Coordinator Bridget Bacon describing the service of some of the Louisville veterans of World War I and how the Louisville community was changed by the war. 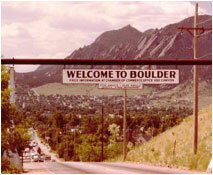 The geologic history of Boulder County’s remarkable landscape goes back nearly two billion years! Rocks contain a record of earth’s history that can be read like the pages in a book. Join geologist and volunteer naturalist Roger Myers for this slide program and learn how to read the story in the rocks in your backyard. Presented by Boulder County Parks & Open Space. Bring a job description for a position for which you will be interviewing, and Pam will workshop potential questions and desired responses.